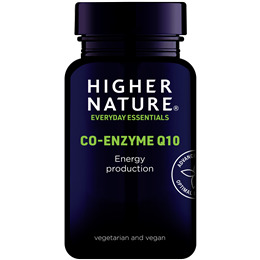 Co-enzyme Q10 is important for maintaining a healthy heart and energy release through the years. It is acknowledged that the amount of Co-enzyme Q10 present in the body declines with age, so supplementation through the diet helps to ensure the body receives sufficient levels of this important nutrient. Young people are able to make Q10 from the lower numbered ubiquinones such as Q6 or Q8. The sick and elderly may not be able to make enough. Q10 becomes a vitamin later in life and in illness. 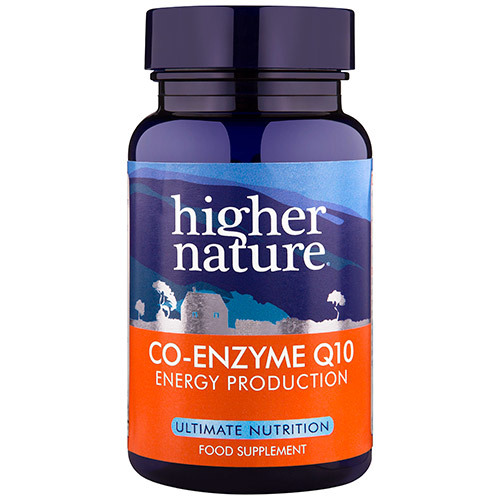 Supplementation of Co-enzyme Q10 has been found to help support the body and help maintain optimal health. Co-enzyme Q10 is a vitamin-like substance whose actions resemble those of vitamin E. It is fat-soluble and is stored in the fatty tissues of the body. It plays a critical role in the production of energy in every cell of the body. It helps support a healthy heart and circulation, helps maintain a healthy immune system, tissue oxygenation and helps the body maintain a youthful look and feel. Co-enzyme Q10 works as an antioxidant and may be more powerful than Vitamin E. Antioxidants help support the body in dealing with unstable chemicals called free radicals. Free radicals are produced by the body when food is converted into energy and will build up in the body over time. Natural lithothamnion calcarea; bulking agent: microcrystalline cellulose; co-enzyme Q10, anti-caking agent: stearic acid*; anti-caking agent: magnesium stearate*; zein protein coating. Take 1-3 tablets a day with a meal, or as your health professional advises. Below are reviews of Co-enzyme Q10 - 90 Tablets by bodykind customers. If you have tried this product we'd love to hear what you think so please leave a review. Question about Co-enzyme Q10 - 90 Tablets Is it safe to take coenzyme q10 if you have a cholesterol of 6.9 and are on statins? Question about Co-enzyme Q10 - 30 Tablets Is it safe to take coenzyme q10 if you have a cholesterol of 6.9 and are on statins? Co enzyme Q10 is important for maintaining a healthy heart, supports healthy circulation and helps to maintain a healthy immune system.